As Cambodians’ economic aspirations have increased, the survey finds that citizens’ ability to function within a democracy has significantly improved in the last ten years. 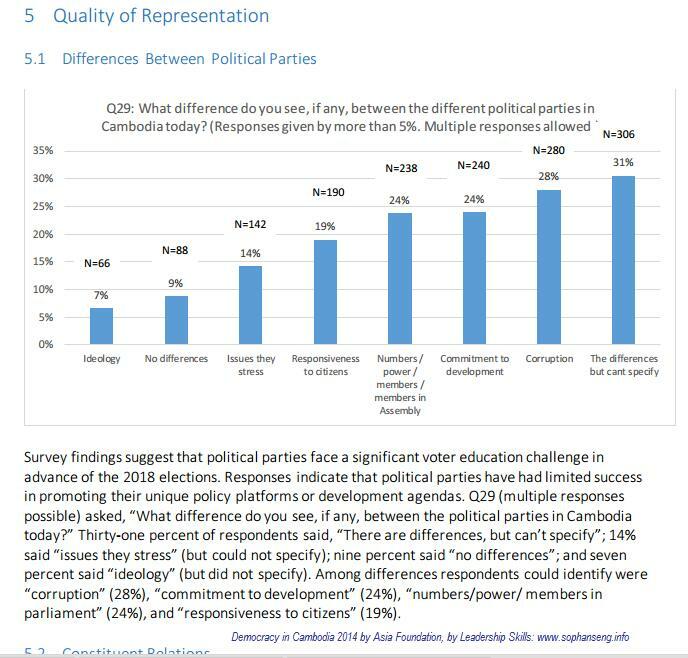 For example, virtually all respondents believe that it is okay to take money from political parties but vote for the party they like…However, the survey found general societal trust to be almost non-existent in Cambodia – a startling finding worthy of further investigation. While trust in government institutions was very low, trust appeared to improve significantly with proximity. About half of respondents said people in their neighborhoods are trustworthy. …Unsurprisingly, the majority of respondents (particularly youth) still hold the view of the relationship between government and citizen as being one of parent to child versus a relationship of equals. 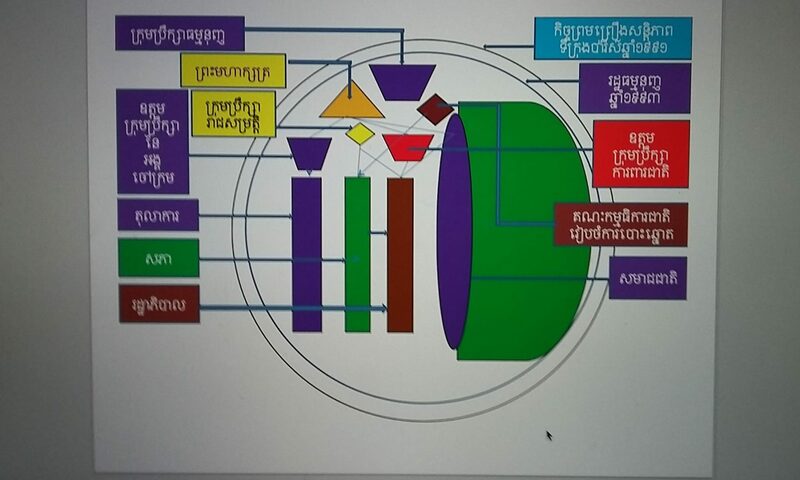 …For political parties, first, given that corruption is perceived as the biggest problem facing Cambodia, party platforms with a strong counter-corruption commitment will broadly appeal to the electorate’s desire for change. Second, it is clear that the public favors political decentralization, with very large majorities favor directly elected versus indirectly officials at all levels. Although it is understandable that political parties would prefer to retain control over the selection of officials, there is a huge potential electoral payoff for any party willing to embrace political and fiscal decentralization. 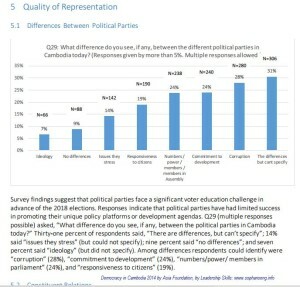 Third, although vote buying or gift giving may still be an effective strategy for getting out a party’s own supporters, it is clear that in Cambodia it is not effective in changing how voters choose to vote. Parties that wish to attract new voters would be better off spending their resources to develop and publicize programs attractive to the electorate at large. …For over a decade, international and local citizen observers have been critical of Cambodia’s electoral process, in particular election administration, voter registration, media coverage, the use of state resources, and the role of the security forces.